And as every year for these summer dates we start preparing the FITAG, and with it its FITAG Municipalities section. A section that with the charm of the theater, unites the spirit of exchange of cultures and the visibility of the territory beyond the city of Girona. The magic of the theater that gives the opportunity and allows foreign companies to take their theater beyond the city, to some municipalities where otherwise would hardly reach. In turn, the inhabitants of these municipalities have the opportunity to live and see different ways of doing and understanding theater, showing again that the language of art is universal, and does not understand borders. The spirit of coexistence that makes two companies, a foreigner and a local, share a day of exchange, in this case cultural and artistic to each of the Municipalities that participate in this experience. A day without doubt enriching for the members of the two companies, where everyone can learn from everyone during a day. 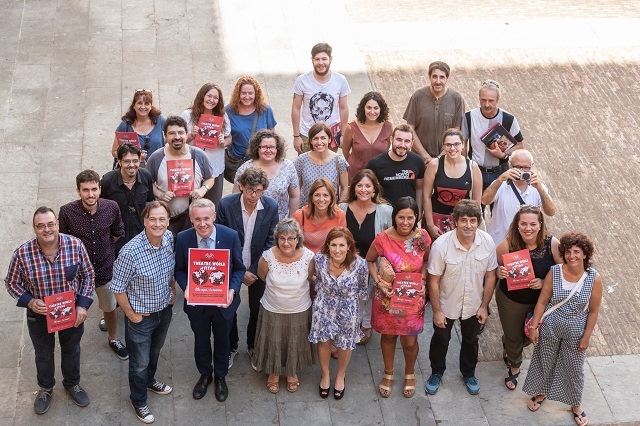 And the visibility of the territory so that this project, being as it is fruit of the Diputación de Girona, can not but grow as it does in the Girona counties, making for one day, each Municipality share with Girona the pleasure of being part of of this amateur theater party. A project that was born in 2008 with 4 Municipalities, and that after 10 years we can give by consolidated and, what is more important, in expansion. So continue with the confidence and illusion of the Municipalities and their local companies.